7:30 am. Arrival of FACES team to Hospital Belen of Lambayeque, Peru. 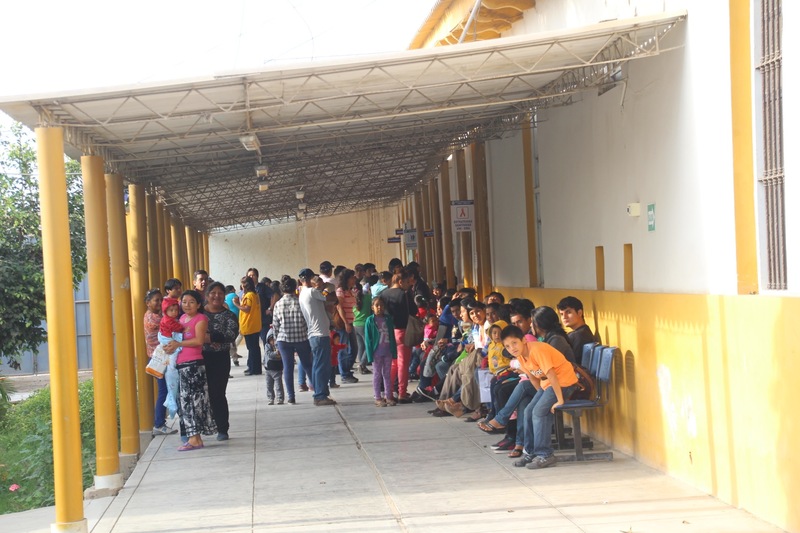 We thought we were early for the day of patient evaluations, yet as we turned the corner from the hospital entrance, we were welcomed by over 50 waiting families. Applause, smiles, and kisses. Off to a great start. This year, Drs. Dana Smith and Myriam Loyo, two excellent FACES Surgeons, joined us for the November trip and conducted the majority of the patient evaluations. Their surgical experience and Spanish fluency qualified them as true assets. 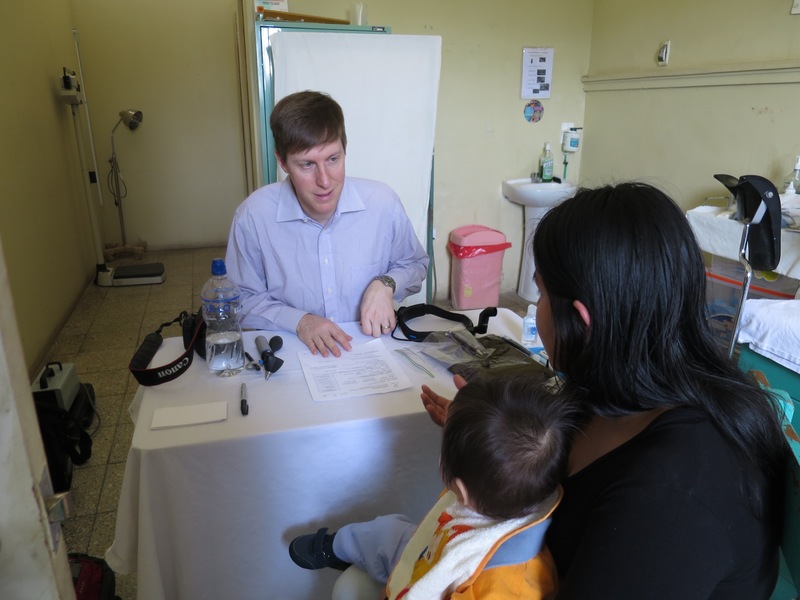 Together, with Dr. Tom Albert, FACES screened 62 patients for surgery. 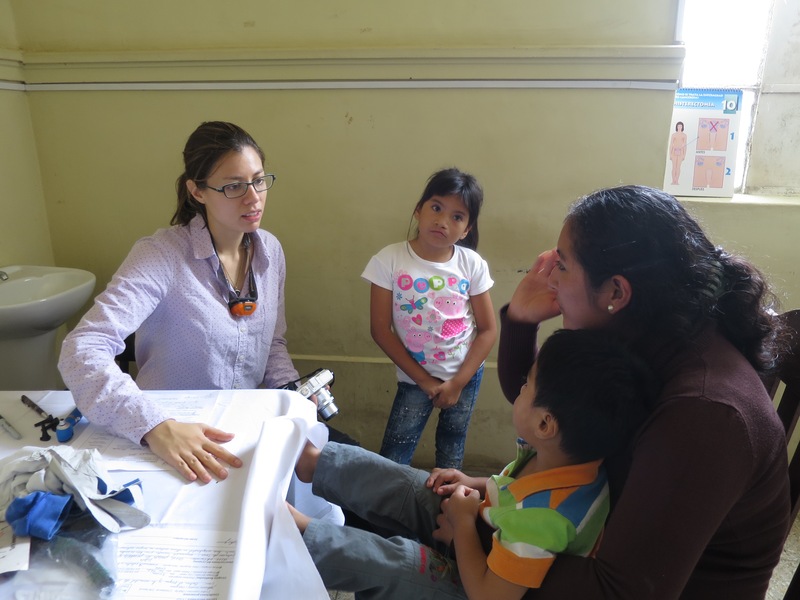 Additionally, we had two incredible physicians willing to conduct preliminary pediatric exams on all the patients: Dr. Rob Nicholson, Emergency Room Physician from Bellingham, Washington, and Dr. Eduardo Kcam, general surgeon from Lima, Peru. We are very grateful to the staff of Hospital Belen. Dr. Rosario, the current Director and a surgeon himself, greeted us warmly, characteristic of Peruvian culture. And of course, we are grateful for Miryam Sime Amau, the executive assistant who sends the essential legal letters that allow us to enter Peru in the first place. Miryam, thank you! Lucy Castro and Aralicia Agurto, representatives from the hospital’s social services department, came early and stayed late, assisting in the registration of dozens of patients. Romy Usquiano Nunez, pharmacist extraordinaire, helped us acquire immediate medication for a few of the younger patients. She is always making sure we have what we need. Many people made this day a success. In addition to all of the hospital personnel and medical staff, we were fortunate to work alongside the Lions Clubs from Oregon and from Peru. They conducted vision testing, distributed reading glasses, and fed the patients throughout the day. Kathy Albert, Dr. Tom’s wife, entertained the kids in the waiting area with sidewalk chalk and personal portraits. It felt more like a playground than a hospital! King Kong himself, envoy of the San Roque Candy Factory!